The holidays may be over, but the stress of post-holiday cleanup is just beginning. With mounds of Christmas ornaments and lights that need to be kept, you might be worrying about how to store them properly for your next use. Keep your ornaments and lights from being broken until next Christmas with these three simple steps to storing Christmas ornaments and lights! The biggest problem when it comes to storing Christmas lights is that the wires get tangled. To store lights properly without tangling, wind them. You can use a hose winder or wrap the lights around a cardboard or an aluminum foil tube to keep them straight. Afterwards, you can put the cardboards or tubes inside a shoebox or plastic container. Easy peasy! For your small Christmas ornaments, place them inside an egg carton. Egg cartons have the perfect hollow space to house small ornaments, especially the fragile ones. They are also easy to store inside a storage bin alongside your Christmas lights. 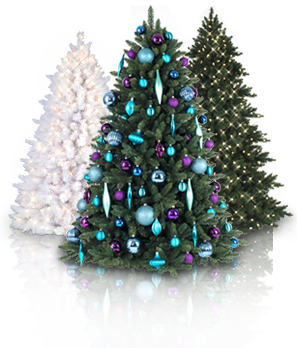 Larger ornaments, or ones with various shapes, can be stored inside plastic cups that are arranged in a box. To make your own ornament storage box, purchase a pack of plastic cups, and then hot glue them neatly on a piece of cardboard. Afterward, place the cardboard with the cups inside a storage bin. Here, you can place your other ornaments or small garlands for safekeeping until the next holiday season. Afterwards, you can place these bins in your garage, basement, attic, or, if you’re living in a small apartment, at the back of your closet. With this simple guide to Christmas ornaments storage, packing up all your holiday things is easier and quicker. For more storage ideas, tune in again next time!